Deciding whether or not to wait on buying a home is a constant decision that every family struggles with. What is the cost of waiting? How do VA interests rates affect your VA Home Loan? Both of these are great questions and both are something to spend a little time thinking about and researching. Buying vs. renting is a decision we all have throughout life. 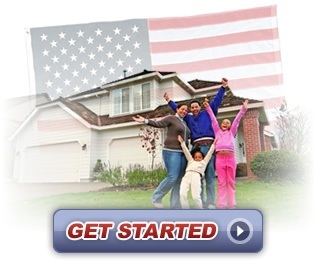 Fortunately, if you are eligible for a VA Home Loan then you have a very powerful tool at your disposal. The VA Loan offers a ton of advantages, including being able to build equity quickly on a home purchase and also being able to buy without a down payment. Fortunately it is still a buyer’s market out there, but even if it was a seller’s market you have so many advantages when using your VA Home Loan. While interest rates will still factor in to the equation, the fact of the matter is that with this powerful loan program you can still get a great guaranteed loan, even if interest rates start to go up. Right now they are at historic lows and should stay there for some time. In addition to getting in while it’s still a buyers’ market, home buying is also one of the most important investments anyone can make. When you own your home, your monthly mortgage payment goes toward building equity. Equity is simply the amount of money that you can get back if you were to sell your home at a later date. SO why wait? If you have the option of a VA Home Loan then there is really no reason not to explore it some more. For more information about the VA Home Loan and to speak with a VA Home Loan representative call Tiare Fullerton now at (808) 254-3300.